Omkareshwar is a small town located in the Khandwa District of Madhya Pradesh. This town forms one of the most famous and sacred destinations visited in Madhya Pradesh. Given its strategic location, one can reach here by rail, road and air. By air, the nearest airport is Indore Ahilyabai Holkar Airport. 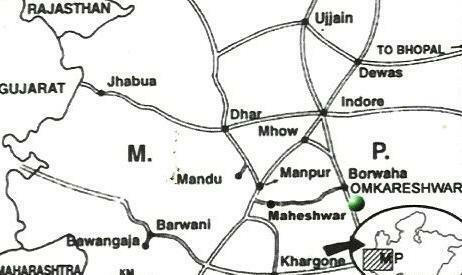 The Indore airport is located 77 km from this place. The Indore Airport is a domestic airport which is connected to the nearest International airport, i.e. Delhi International Airport by means of regular flights. Indore Airport is also very well connected to Mumbai, Bhopal, Jabalpur, Ranchi, Pune, Jaipur and Gwalior by means of regular flights. The Indore Ahilyabai Holkar Airport is fully equipped with modern amenities. For foreign tourists who wish to visit this place can reach their by taking a international flight to Delhi and then connecting with Indore Airport by a Domestic flight. From Indore airport there are many taxis and buses which ply regularly to this town throughout the day. The further journey from Indore Airport to this place takes about 2 hours. The other nearest airport would be Bhopal's Raja Bhoj Airport, which is around 175 km away. By Rail, the nearest railroad is Omkareshwar Railway Station. This Railway Station is at a distance of 12 km from Omkareshwar and is very well connected to other major railway stations like Indore, Khandwa and Ujjain. The Railway Station falls on the Ratlam – Khandwa Route and actually is not a mainline. So one can change the train from Indore and take a train on the Ratlam – Khandwa Route and get down here. Or passengers also have an option of taking a private taxi or buses from train stations like Indore, Ujjain and Khandwa Railway Station. This town is easily accessible by road. It is very well connected with all the major cities and towns of Madhya Pradesh and hence can be very well reached. For people travelling by road, the accessible points are Indore, Ujjain and Khandwa. There are regular tour buses from cities like Ujjain and Indore to this place. These tour buses start off in early mornings from these two cities drop you at this place, give you enough time to take Darshan as well as to roam around and then take you back to the respective cities. There is nothing much to boast upon when it comes to accommodation facilities. This place doesn't actually offer lots of options when it comes to Staying. But there are few options which can allow one to settle down near the most sacred Hindu Destinations – This place. Ideally tourists that visit this place are mostly pilgrims who visit their lord from faraway places. These pilgrims prefer the Dharamshalas and Guest House options which are very much available here. Few of the guest houses and dharamshalas which are mostly preferred by the pilgrim include Ahilya Bai Holkar Guest House, the Rewa Gauza Guest House, the Yatrika Niwas and the Shiva Niwas. Out of these, Yatrika Niwas is located just behind the Bus Stand and offers basic staying options with rooms at a minimal Rs. 350 with attached toilets. The rooms at Yatrika Niwas are clean and airy. They also have a good canteen facility within the Niwas for simple vegetarian food. Shiva Niwas on the other hand is located near the steps which lead to the ghat, and offers basic rooms with hot water facilities at minimal Rs. 250 / Rs. 350. Ahilyabai Holkar Guest House is run by the Ahilyabai Charity Trust and mostly houses Hindus. Then there is Gajanand Swamy Ashram near the temple which offers accommodation capacities. Other than that the MPTDC has also made an accommodation arrangement for people who stay here. 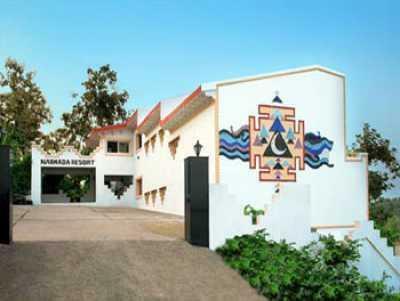 The property owned by MPTDC at this place includes the MPTDC Narmada Resort. MPTDC Narmada Resort is an excellent stay option, located just 300 m south of the Bridge that connects the temple with the other side of the river and the only noteworthy accommodation option in this place. The MPTDC Narmada Resort offers excellent accommodation facility with its deluxe rooms and personalized services. Country Inn: Country Inn is a 3 – Star hotel located 35.6 miles from this town. 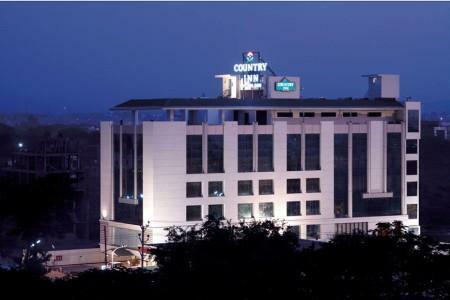 Country Inn offers luxurious accommodation with luxurious rooms and suites. The Country Inn offers excellent facilities and services which includes elegant and spacious rooms along with conference hall, restaurants, pub, health club and many more such facilities. Hotel Shreemaya Residency: Hotel Shreemaya Residency is one of the reputed hotels located within the vicinity of this town. Hotel Shreemaya Residency is around 37 miles from here. Hotel Shreemaya Residency offers excellent accommodation options along with fine facilities which include conference room, business center, restaurant, banquets and many other facilities. 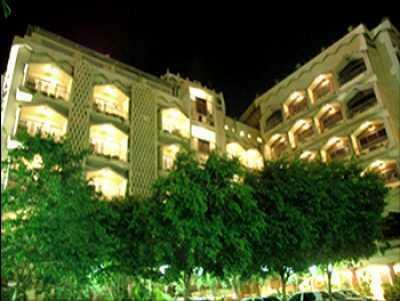 Sarovar Portico Hotel: Sarovar Portico Hotel is one of the finest hotel located within the vicinity. Sarovar Portico Hotel offers finest and elegant accommodation options along with various facilities which includes restaurant, swimming pool, health club, currency exchange, concierge, airport transfers and many more. That looks amazing. I drove past it last week and enjoyed the travel there. Will definitely take my mother there this week. Thanks for sharing the information. Can you share some more photos of the place? I didn't have the camera with me and like to see some photos.